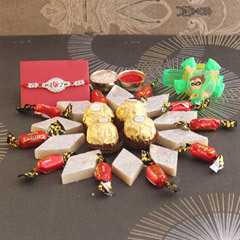 Raksha Bandhan is about celebrating the beauty of brother-sister relationship! 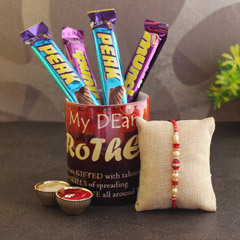 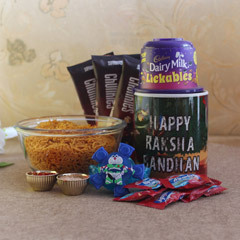 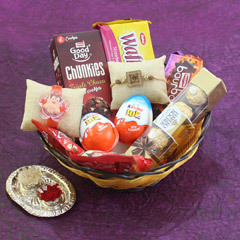 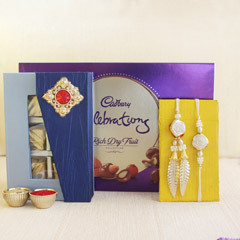 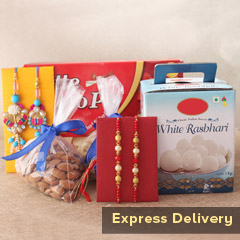 This one is a delighting hamper of two Rakhis, delicious sweets, yummy chocolates and a lot more to make the occasion a special one. 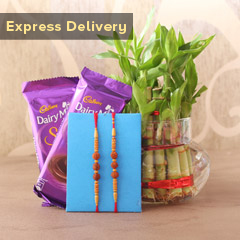 This will never fail in impressing him…So choose to order it now.